The 13/11 Paris Attacks shell-shocked the world. They also brought home to the European security community the fact that the perpetrators of terror and their tactics are a step ahead. Getting the better of such heinously cruel and ideologically motivated militants will need sustained effort, benevolent penetration of immigrant communities and seamless intelligence cooperation of high order. France has suffered more than five major terror attacks in the last 18 months. But the magnitude and scale of the six simultaneous assaults last Friday represented a qualitative and quantitative upscaling. This must have involved meticulous planning, surveillance, 'dry run' rehearsals, co-ordination and cold-blooded execution. In the eyes of the jihadi community, France's military incursion in the Middle East, especially its recent bombing campaigns against Islamic State (IS) positions in Syria and Iraq, justifies its targeting. Generates extensive worldwide media exposure. Besides being stunning, such attacks fulfil the larger objective of the IS (or ISIS/ISIL/Daesh) of attracting more recruits through demonstrated bravado. Its converts believe in Apocalypse - an inevitable end of the World, with the Mahdi leading Muslims to victory (or death) against the 'anti-Messiah' in Jerusalem. Apocalypse is supposed to provide respite to every wronged or repressed individual. Daesh's on-line doctrinarian impact has spread world-wide, attracting adherents from unexpected quarters. Earlier, this indoctrination resulted in 'spill over' or 'lone wolf' actions in economically advanced countries. Such sudden actions indicated some common mental or psychological factors attracting the perpetrators toward IS ideology. Depression, stemming from personal setbacks such as broken marriages or failure at workplace might induced a sense of fatalism around the inability to change the order of justice for 'have nots'. The battle between assimilation and immigrant identity in countries such as France and Britain stemmed from disenfranchisement, lower levels of education and economic deprivation. Alienation from society also occurred due to second- or third-generation cultural schisms faced by individuals. Preliminary investigation into the background of involved suspects of the the Paris attacks indicate towards a link with Molenbeek, a Belgian suburb populated predominantly by immigrants. This brings out another interesting characteristic: These are hardened terrorists but of a hybrid variety. They may have had criminal records in the past and now they are trained in Syria or Iraq and indoctrinated. The increasing use of such hardened 'hybrid' militants could, in a sense, be regarded as Daesh going back to tactics used by Al Qaeda, or its regional affiliates in Yemen and North Africa. 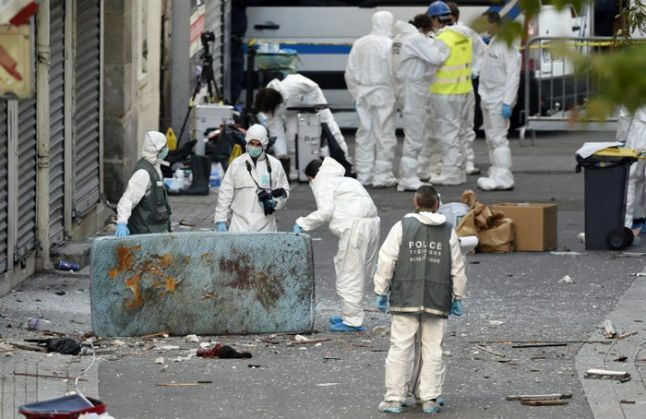 According to French authorities, triacetone triperoxide (TATP) was part of the suicide bomb vests used in the attacks at Bataclan Theatre. The explosive is a mixture of hydrogen peroxide and acetone with sulfuric, nitric, or hydrochloric acids. These chemicals are relatively easily available in neighbourhood stores, but TATP is highly unstable and sensitive to heat as well as shock. Often TATP detonates prior to the desired time --the suicide vests did not indicate a high level of precision and coordination, which only an experienced bomb maker can achieve. The terrorists circumvented tough laws against possession of weapons and ammunition in Europe. They stored lethal weapons in large quantities in dispersed safe houses transcending national borders. This throws up questions about the soundness of the Schengen visa regime. The fact the one of the suicide bombers used a Syrian refugee's passport will fuel longstanding ethnic tensions in the country. Domestic policies such as the unpopular headscarf ban have contributed to perceived marginalisation of France's large Muslim community. More intrusive anti-terror measures are necessary, but they can add to the vicious cycle of enhancing immigrant alienation. So far, French authorities believe, there are about 400 French citizens in Syria fighting with extremists. This makes the French among the largest western contingents of foreign fighters in Syria. Other estimates put the number of IS recruits to even more than 1,500. These may include itinerant migrant populations shifting from one country in Europe to another, especially when involvement in petty crimes or drug trafficking comes to light. 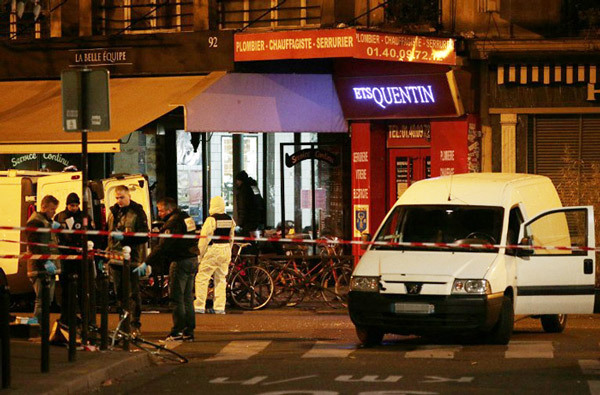 Several individuals were arrested in Belgium for alleged links with the Paris attacks. But it is unclear whether these detentions have broken up the terrorist network that supported them. In the short term, we can't discount subsequent attacks in France or its neighbours. State BJP wants a CM nominee for #UP2017. Will Modi, Amit Shah oblige? Azam Khan is SP's Muslim face. But are his days in the party over? The author was special secretary at the cabinet secretariat.